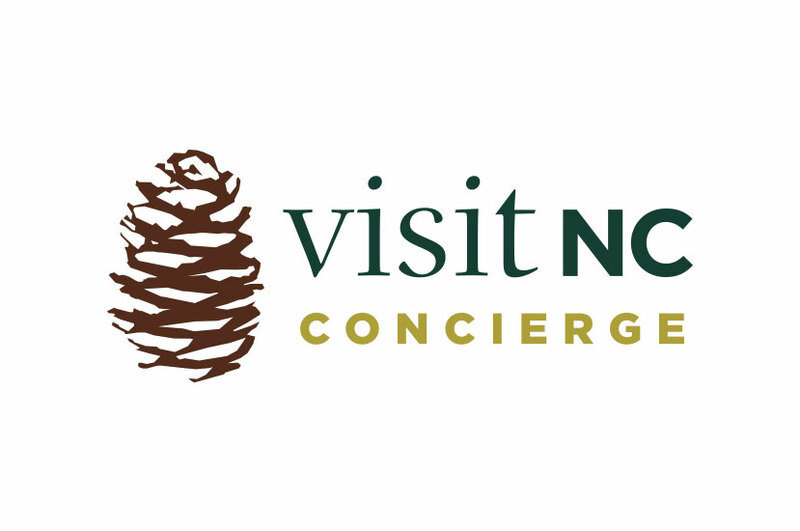 The Visit NC Concierge logo is iconically North Carolinian. Creating unique 2-3 day tours around the state of North Carolina, Visit NC Concierge’s Pine Cone Logo represents this brand’s sense of adventure exploring off–the-beaten-path locations from the coast to the Blue Ridge Mountains. We incorporated the pinecone as an ode to the state’s iconic long leaf pines. This logo has the grit and rustic feel of outdoor-exploring, with modern touches, like the sans-serif font. A green color palette beckons to the spirit of adventure, inspiring the viewer to get out and explore all that North Carolina has to offer.